Feel fiercely feminine right now with this romper. 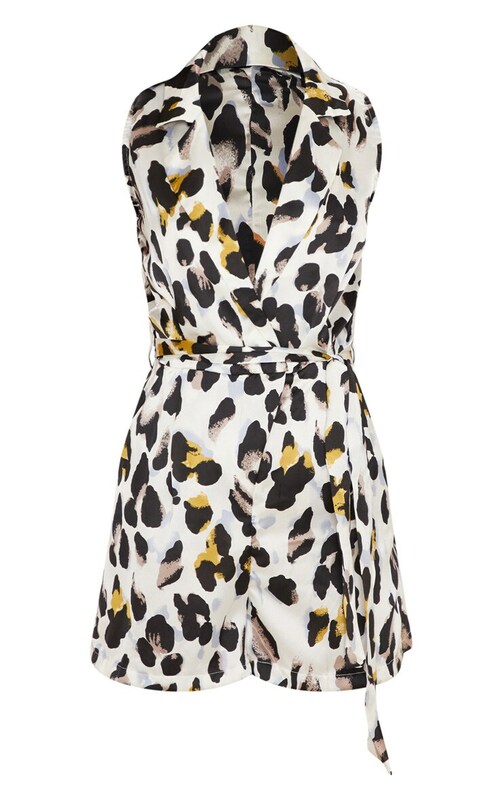 Featuring a white satin leopard print, collar detail and a sleeveless design. Team with gold strap heels and a mini handbag for a lunch date with the girls.